THE MESSAGE is the kind of old-school wartime spy thriller that Hollywood doesn't really make anymore. VALKYRIE came close and INGLOURIOUS BASTERDS was a different beast entirely, but their sights seem firmly set on Iraq these days. China, however, in the midst of celebrating 60 glorious years of the People's Republic, has had a slew of films in recent years exploring that period from the outbreak of the Sino-Japanese War until the founding of the PRC. Some films, like the excellent CITY OF LIFE AND DEATH, chose to play it very straight, whereas THE MESSAGE is far more interested in entertaining its audience than tugging on their heartstrings. It's one part WHERE EAGLE'S DARE, one part LUST, CAUTION (remember the scenes that didn't include Tony Leung's balls), with a dash of RESERVOIR DOGS and...something with interrogation in it. It's 1942 and under Japanese occupation the Chinese political system is in total disarray, with politicians and other powerful leaders flip-flopping between Chiang Kai Shek's increasingly unpopular KMT and the Japanese-installed puppet government in Nanjing, under Premier Wang Jingwei. The government is doing all it can to lure reliable comrades away from the KMT, but is paranoid of increasing numbers of spies within its ranks relaying both their movements, and those of the Japanese military, to terrorist cells operating throughout the country. After smearing a poor girl in beef paste and literally setting the dogs on her, a leak is revealed coming directly from the counter conspiracy offices in Nanjing. Ambitious young Japanese officer Takeda (Huang Xiaoming from THE SNIPER) sends a dummy message through the office. When that information appears in a coded message this narrows down the spy, known as the Phantom, to one of five possible suspects, who are all rounded up and shipped out to an isolated castle for interrogation. The five suspects include stenographer Gu (Zhou Xun), codebreaker Li (Li Bing Bing), Councilor Jin (Ying Da), Captain Wu (Zhang Hanyu) and Colonel Bai (Alec Su). Over the next five days they are observed, manipulated and tortured as Takeda and his cronies hope to extract the identity of the Phantom, and the whereabouts of terrorist leader, Magnum. For the most part THE MESSAGE is rip roaring good fun, keeping the drama moving along at a cracking pace anchored by half a dozen or more solidly convincing performances. 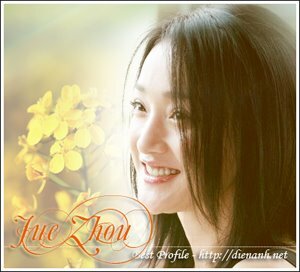 Zhou Xun's Gu is the spoilt party girl, who clearly has a knack for manipulation, while Li is a far more fragile and delicate creature. Zhang Hanyu keeps war hero Wu teetering between ferociously loyal and just plain ferocious, with an axe to grind for Gu. Alec Su brings a few moments of comic relief to the proceedings as the overtly camp Bai, while Ying Da's bumbling Councilor Jin is mostly there just to make up the numbers. There are no big action set pieces in THE MESSAGE, but plenty of tense and occasionally brutal confrontations. It looks fantastic, with excellent costume work and set design that is almost to be expected from a Mainland production these days. One can't help but compare this film to the newly released FOUNDING OF A REPUBLIC, a film set at a similar time, and also light on action. Where that film felt dull, preachy and contrived, THE MESSAGE simply entertains through those classical cinematic traits of a good story, told well by more than competent storytellers. Where the film loses points is in some of its secondary directorial flourishes. Some of the stylistic choices - in terms of musical cues or visual aesthetics - are totally at odds with the tone and mood of the rest of the film. The directors - Gao Qunshu (TOKYO TRIAL) and Chen Kuofu (DOUBLE VISION) - use over-cranked swirling aerial shots, split screen montages and frequent bizarre CGI vignettes of, for example, a telegram's electrical charge pulsing down cables, as if part of a David Fincher movie. At these moments, THE MESSAGE feels like a trailer, rather than an actual feature, and a trailer to a completely different film at that. However, once locations and situations have been established and the film is allowed to recommence its storytelling, THE MESSAGE is directed in a very assured manner - bringing tension to interrogations, brutality to the torture sequences and sympathy for the characters. Narratively, things do get a little ridiculous at times. It should be conceded that in real life, these five suspects would have been simply rounded up and shot, rather than put through this elaborate five-day stand-off, but the performances and the drama win through, providing a genuinely entertaining experience even as you laugh at the occasionally preposterous nature of the plot.